A dog-free zone in Welshpool might be extended to include a cemetery following complaints the animals have been fouling on graves. Dogs have been banned from some public areas in the Powys town since March after owners were accused of failing to clean up after their pets. Welshpool Town Council is now planning to ask cemetery owners Powys council if the zone could include the graves. 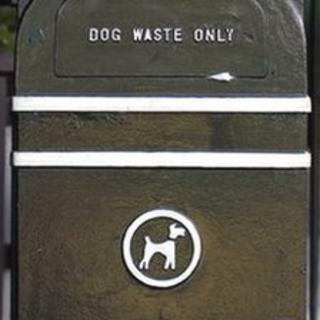 Powys council urged dog owners to clean up after their pets. Welshpool town clerk Robert Robinson said the dog ban had worked in the town but officials were now considering further action following "constant complaints" about the graveyard. "Dog controls in several areas in the town have seen conditions improve but the graveyard is not our land," added Mr Robinson. "We have a dog committee and it is considering approaching Powys council to see if our control area can be extended to include the graveyard. We will monitor the situation and if things don't improve then the committee will make a decision. "Dogs are allowed in the graveyard and we have received complaints that they are fouling on people's graves and we've even had cases where people have been tending a loved one's grave only for their dog to mess on a nearby grave." Powys council asked people to report incidents of dog fouling and warned that action would be taken against those flouting the law. The town council imposed its dog ban in March following persistent warnings, campaigns and CCTV to target the culprits. Last year Football Association of Wales Trust development officer Tim Broome said dog owners who allowed their pets to foul on sports pitches should be named and shamed. Mr Broome said some pitches had to be cleared of mess before youth teams could play. His comments followed complaints by Powys sports clubs who said dog fouling was a growing problem in towns like Welshpool and Newtown.